If you’re into geo-app development the following tools should come handy. GeoFrameworks and Jon Person released their GPS Framework for .NET on CodePlex! The really nice thing about this framework is it works with both the full blown .NET Framework and the Compact Framework. If you’re developing for a Windows Mobile, embedded, laptop or desktop computer, it should handle all your needs. Automatic detection of serial GPS devices (or devices found via a virtual serial port). Automatic recovery of lost connections. Advanced GPS precision via Kalman filtering. Support for desktops and mobile devices. Support for real-time GPS data without relying on Microsoft’s GPS API. Support for control and monitoring of precision. 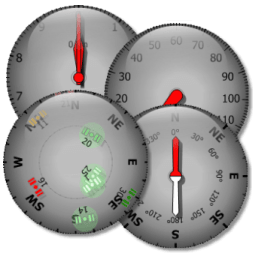 A set of animated gauge controls for desktops and mobile devices (Altimeter, Compass, Speedometer, SatelliteViewer, SatelliteSignalBar). Good post, but have you thought about GPS Tools before?